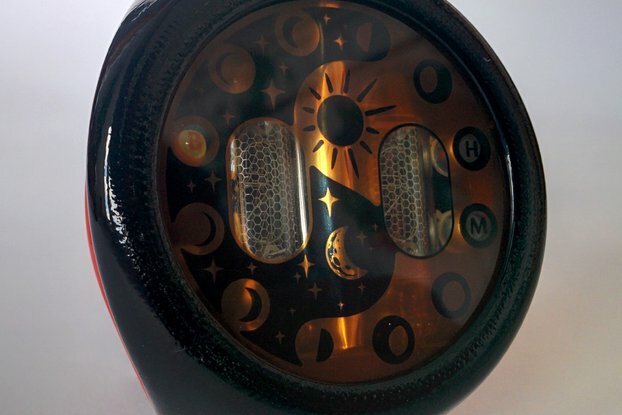 Handmade nixie tube wristwatch "MOONWATCHER" with RARE fine grid IN-16 tubes and wooden box. 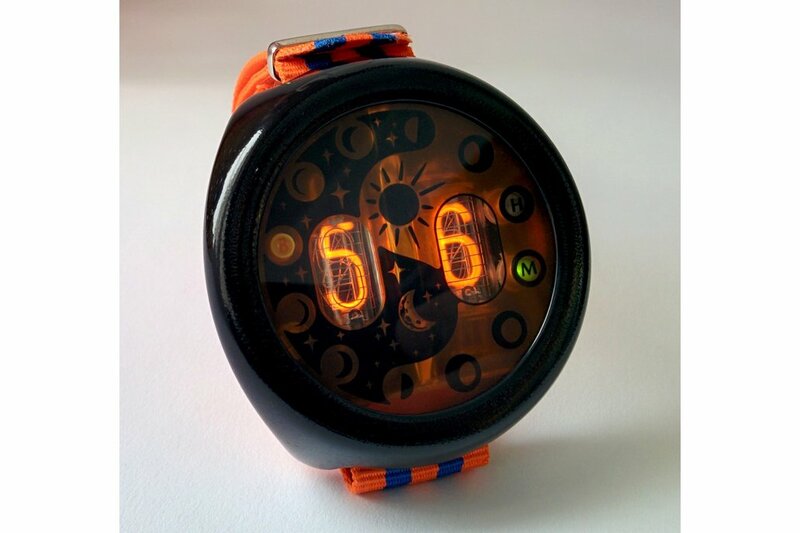 We are glad to introduce our new production piece, nixie tube watch "MOONWATCHER". The watch uses two tubes to display the time in two steps: hours first and minutes after that. Case is 3D printed of ABS plastic. Band is custom-made and uses velcro fasteners to attach to the watch, so it is easily removable for washing or cleaning. The tubes used in this clock are not regular IN-16 nixies, these are RARE early batches tubes that have nice Mullard-like striped grid for clearer readings and different great looking digits font! 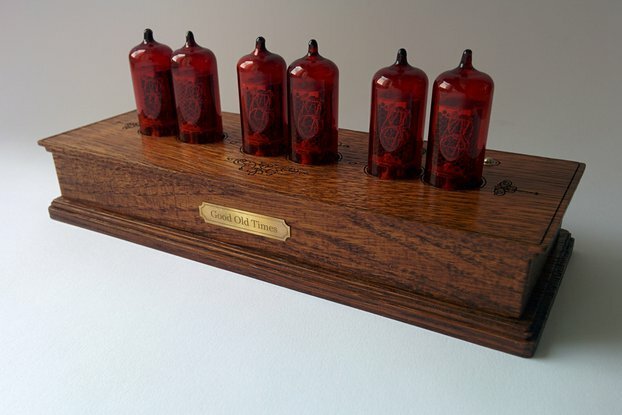 RARE IN-16 fine grid tubes! Improved stability of indication on low battery levels! One of a kind handcrafted item! If you have any more questions - feel free to ask!